As you start your new year and the seeds of your business plans for 2019 are getting ready to sprout, we’d like to invite you to visit these two beautiful meeting spaces. As you know your choice of quality space rentals in the Berkeley area for your events, classes, and meet-ups is limited. 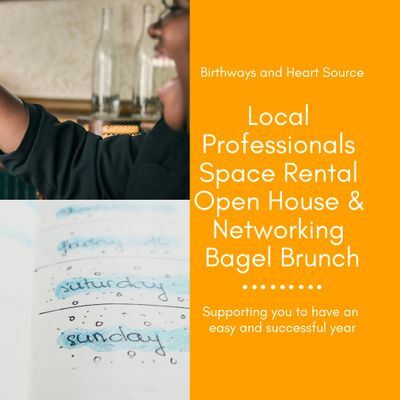 Birthways and Heart Source are teaming up to help this be an easy and successful year for you with this Space Rental Open House. If you are new to Heart Source, it’s located in the courtyard just behind Birthways, beautiful and peaceful, it’s a perfect spot for movement classes, Yoga, and larger circles, lectures, or workshop offerings. If you are new to Birthways, it’s the first space on the right as you enter the courtyard to Heart Source and a sweet cozy comfortable space, truly wonderfully set up for group work for 16 in a circle, and comes with a kitchenette for easy food prep. Whether you’ve rented one of these spaces before or you’ll be visiting for the first time, this is special invite for you to have first choice of the booking calendar for your space rental needs in 2019. And for anyone who books during the event (or before March 1st) you’ll receive a 10% discount. 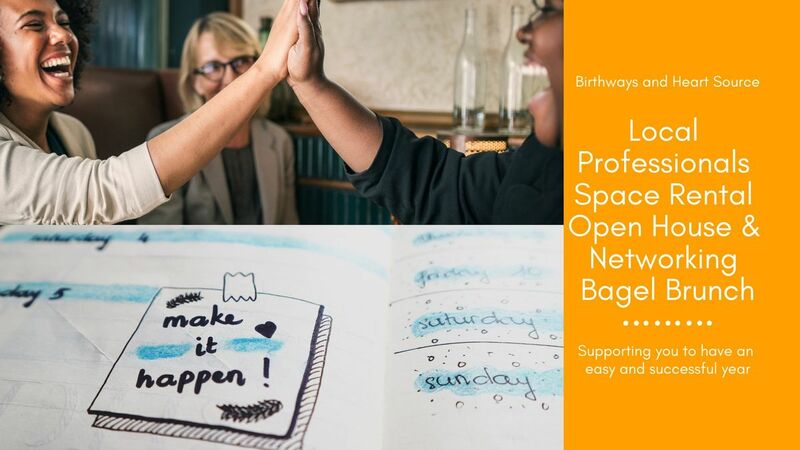 You will have the opportunity to enjoy tours of both Brithways and Heart Source, bagels, tea, coffee, networking with other healers, birthing professionals, small biz owners, facilitators, and teachers. And if you can’t make the event on Sunday morning the 24th, please do reach out to us to schedule a visit! We thank you for being part of our community and look forward to seeing you soon! Makers Afternoon - A meetup for people love who building products!